The world is rapidly changing and smart preppers pay attention and try to adapt to the changes. In regards to firearms and ammunition, there is a very real possibility that we will elect a President who is an avowed enemy of the 2nd Amendment. I have discussed the ramifications of this in my article This Election as a SHTF Scenario. Many concerned citizens are continuing to purchase firearms for the hard times they feel are ahead. And many of them are selecting AR style rifles for their personal defense and as part of their preps. I discussed one I recently bought here. And a lot of these folks are not military veterans who have had the luxury of marrying the “Little Black Rifle” in the past. This article is for the new owner of an AR, or someone with not a whole lot of experience in running or maintaining it. The AR uses a direct impingement gas system. 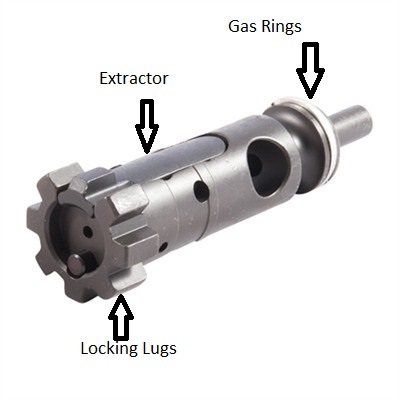 This means that there is no piston, rather the gas is bled off the barrel and impinges directly on the bolt through the bolt key. This is why cleaning certain areas is critical to keep it running and has an effect on ammunition selection as well. I will discuss ammo in a future article. 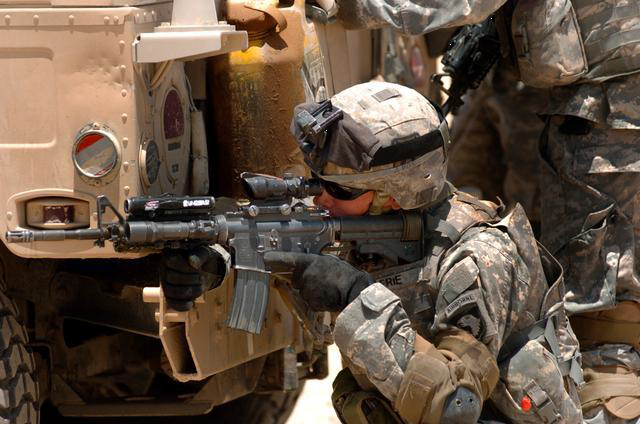 Here are some of the special cleaning and inspection considerations with the AR series rifles. Barrel: The barrel is cleaned like any other rifle from the chamber end using a bore brush,solvent and correct size patches.. But special attention must be given to the chamber due to the design of the locking lugs. A special chamber cleaning brush is needed to properly clean the chamber and the locking lug recesses. This is a critical area of this rifle and causes the lion’s share of malfunctions when excessively dirty! The brush will clean not only the chamber but the locking lug recesses as well. Use Q-tips and pipe cleaners to clean the recesses. There are also special patches and wipe mops designed for this that you can find online. 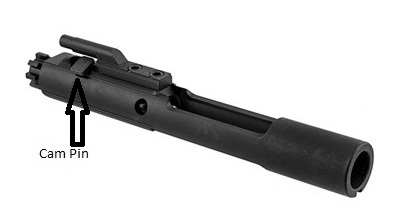 Bolt Carrier: There are some areas on this that you need to pay special attention to. 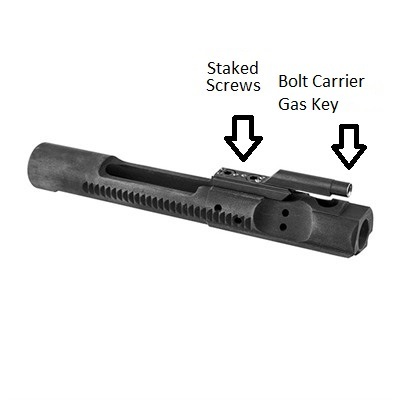 The gas key on top of the bolt carrier is particularly important. First, inspect the screws on top and ensure they are tight. Insure the stakes are good so the screws will not move. You should be able to grasp the key with one hand and the bolt carrier with the other and there should be no movement. The key needs to be solid on the carrier or you will have problems with it dragging on the gas tube which enters the mouth of the key. Clean the inside of the tube on the gas key with a pipe cleaner and solvent. A totally worn out .223 chamber brush can also be used. Insure you totally dry it so that there is no solvent or oil in the tube. This is where the gas impinges on the bolt and any solvent or oil will be turned to hard carbon immediately. Inspect the mouth of the hole in the key. See if it is pinged or split. If so, it means the key is striking on and dragging against the gas tube that enters the receiver. Take the stripped bolt carrier and replace it in the receiver and run it back and forth to see if it is dragging on the tube. If it drags, you are going to have to very carefully adjust the angle of the gas tube with a screw driver and bend it so it does not drag. I spent a year and a half rebuilding M-16s for the Army in a Depot level facility, and had to do this often. Care in cleaning the upper receiver and not bending the gas tube to begin with is important. Bolt: The are a couple things on the bolt you need to pay close attention to. Make sure to clean all the carbon and brass particles from the bolt face, and especially under the extractor claw with a tooth brush and pipe cleaners. It isn’t necessary to take the extractor off each time, but if you do, insure you do not lose the pin and the small plastic piece that fits in the spring. Insure you clean the recesses between the locking lugs well. There are three gas rings at the rear of the bolt. Each has a space in it. Insure that these three spaces are not aligned. On the back side of the rings the bolt shaft carbons up heavily. Let it soak in solvent for awhile and scrub the carbon off with a brass brush. Upper Receiver: The main thing here is to clean well around the gas tube but insure you do not bend it. A cleaning rag for most of it and Q-tips and pipe cleaners around the gas tube will get the job done. Do not get lubrication or solvent in the gas tube. Lower receiver: Ease the hammer forward and clean the lower receiver with Q-tips and solvent. Lubricate the top of the hammer where the bolt carrier rides over it. Other things to inspect: Insure both take down pins are solid. You should be able to push them out with your fingers or a cartridge tip, but it shouldn’t be too easy. Check the flash suppressor on the muzzle and ensure it is not loose. The firing pin tip should be nicely rounded without sharp edges. 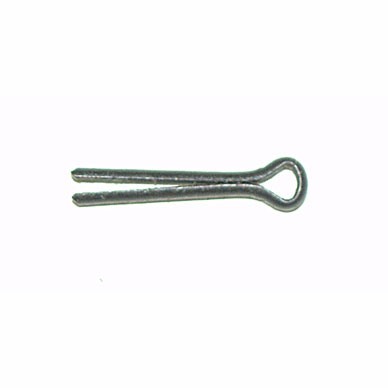 is basically a 3 cent cotter key, without which, you bolt will not function. And they are very easy to loose when cleaning your weapon in a field environment. Keep at least one spare in your field cleaning kit. For more information on cleaning kits, please see my article Weapons Cleaning Kits for the Bug Out Bag. This is a seriously critical issue with AR style rifles, and is one area that AK’s are better in. You need to properly lubricate your AR to keep it running. There is an ongoing controversy about shooting steel case ammunition in AR’s which I addressed in The Truth About Steel Cased ammunition. I have seen a pretty fair number of AR’s actually lock up using steel cased ammo and in EVERY instance they were pretty dirty and bone dry! 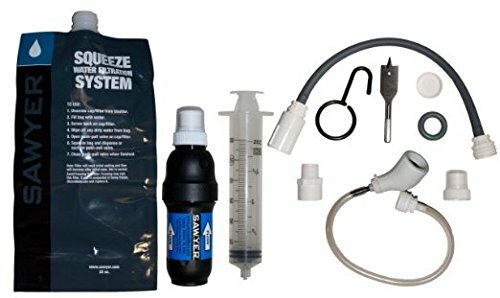 There are a lot of really good lubes on the market, but if you are a new AR owner you can’t go wrong with Break Free CLP. You can use it as a cleaner, lubricant and preservative. Lube the entire bolt head including the gas rings. Lubricate the locking lugs, and place a couple drops of oil in the two holes in the side of the bolt carrier. Lube the rails on the bolt carrier that ride in the recesses inside the upper receiver. Lubricate the cam pin and the bearing surfaces it cams on inside the bolt carrier. If you are a new AR owner, keeping your AR properly cleaned and properly lubricated, will insure it serves you well in the difficult situations you probably bought it for. As I write this, AR’s are flying off the dealer shelves. These are just a few hints on keeping the AR running and many experienced AR shooters will probably have more to add so feel free to comment. In future articles I will discuss magazines and ammunition. Great article yet not everyone is as careful as they should be. So for them I’d say trade your high-tech garden gun in for an AK or some other weapon system (like the old timer the Galil) that doesn’t give a damn about a bit of grit, muck, or extremes of temperature. After all in the coming storm, you need something you can use and abuse yet it’ll keep on going. p.s. Stock up on magazines, the number one failure of most semi-auto/self loading failures. Good points all, and why I have 2 AK’s in two different calibers with LOTS of mags stored up.Right now all efficient firearms are flying off dealers shelves, and even AK’s are starting to get over priced. I understand that magazine manufacturers here in the States are working overtime to increase production. Many of our people are buying reasonably priced AR’s and I want the newbie to get a handle on how to keep it running. Those of us with lots of experince with it know the ropes, many newbies don’t. I myself finally bought an AR after carefull consideration on the advantages of being able to aquire mags and ammo from, Uhhh, various sources. I feel for you mate and all of my other Brit cousins due to your drastic firearms laws. But I suspect that long ago many of your countrymen have done what many Australians have evidently done. They just said “No”. Love your comments my friend. Yet I have to tell you I live in a word of overly compliant sheeple. Years ago I totalled the number I had given talks to (400) and weekend training (100-120). That was before the modern terms came about and way before I started ‘travelling to work’. Then, people had passion and anger. Now, in the main, anger and passion is an strong email or tweet on their IPads. Weak, positively weak.